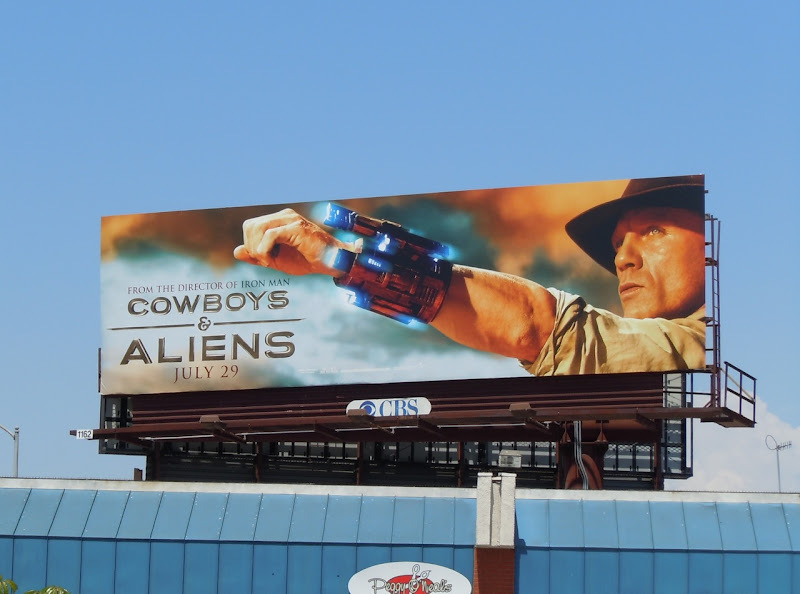 If Daniel Craig's cowboy, wearing an alien-looking wrist gauntlet doesn't illustrate this movie's culture clash between Western and Sci-fi genres, Daily Billboard is not sure what does. Unless of course he was pointing his futuristic weapon at a big, slimy, bug-eyed extraterrestrial, that is. 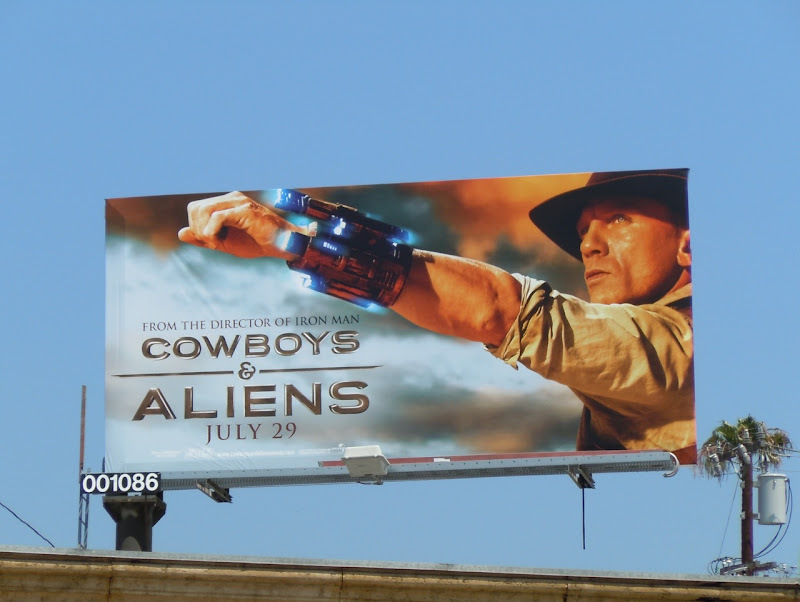 This small movie billboard for Cowboys & Aliens was photographed at Robertson Boulevard on June 21 and the larger format further west along Santa Monica Boulevard on July 5, 2011. 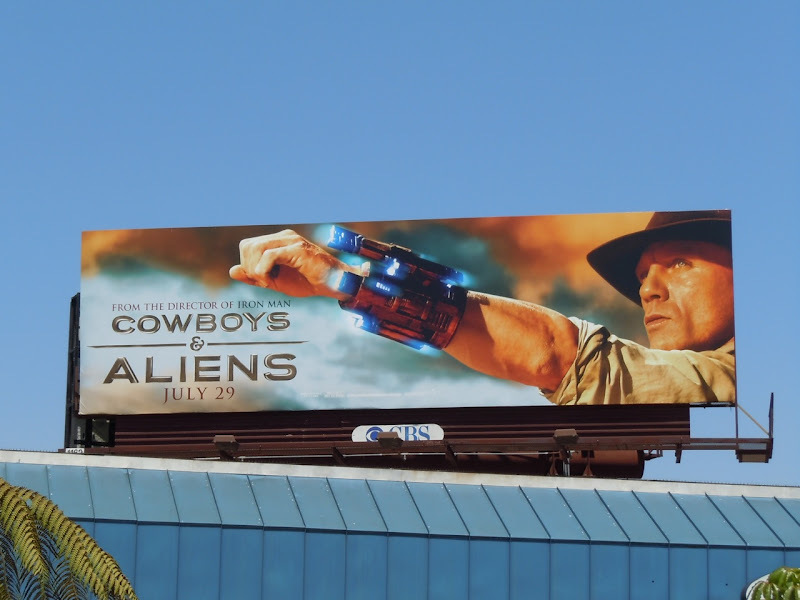 If you like this version, be sure to check out the teaser billboard for Cowboys & Aliens from earlier this year.